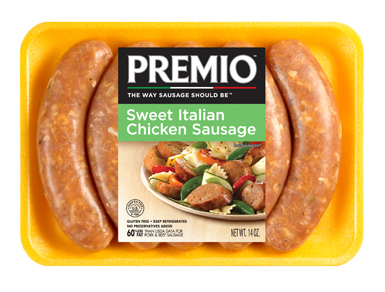 Are you a food lover searching for a whole new way to experience delicious sausage flavor? 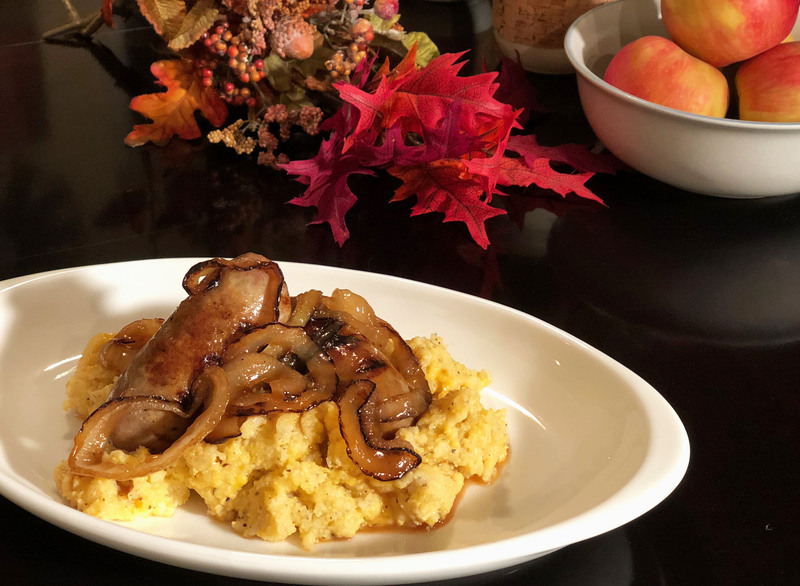 This fall-inspired apple cider-braised sausage will stop you in your tracks with its sophistication and balance of sweet and savory flavors. 1. 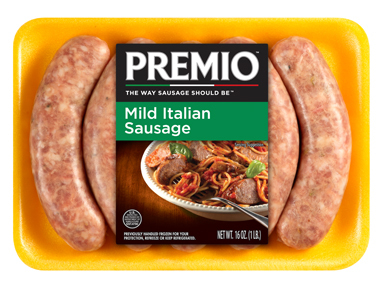 In a large skillet over medium-high heat, heat your olive oil and sausages, turning the links once and cooking them until browned and firm. When you turn your sausages over, add in your onions and lightly toss to coat in oil. 2. When sausages are cooked, add in your sage leaves, apple cider and some salt and pepper, then bring to a boil and let simmer until the cider begins to reduce into a glaze. 3. Meanwhile, in a large saucepan, bring your water to a boil over high heat and slowly whisk in polenta, seasoning with salt and pepper and keeping the heat on high until the mixture returns to a boil. Reduce heat to low and cook until polenta is soft and water is fully absorbed, then stir in sharp cheddar. 4. Divide your polenta between bowls, top with sausage and onions and spoon your liquid apple cider glaze over the top. Bon appetit! 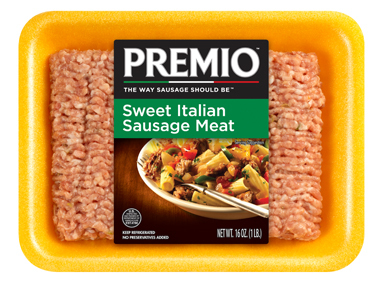 Craving more flavor like our Premio Sweet Italian Sausage? 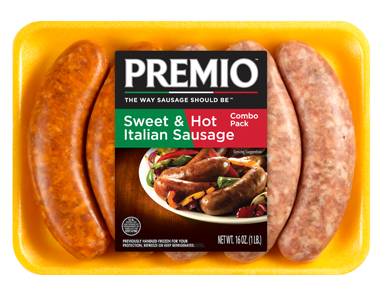 Try all our mouthwatering sausage varieties today. Start by searching in a store near you.